August is the National Immunization Awareness Month that highlights the importance of vaccination for people of all ages. Dr. Saisho Mangla, our guest contributor, writes about the important role of vaccines in keeping everyone healthy. What if I told you that a single action could save your child from multiple deadly infections and also benefit the whole community? What if I told you that a single action could save your community half of a million dollars? What if I told you that a single action could prevent the resurgence of multiple eradicated deadly diseases? 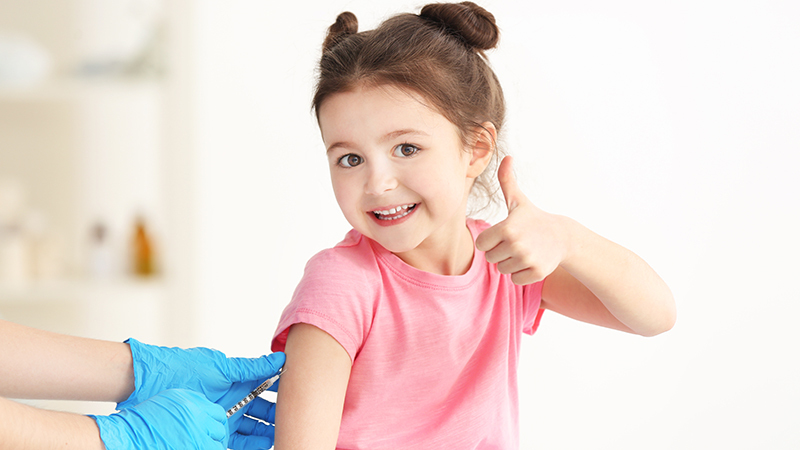 If children are not vaccinated, they are more likely to contract and spread vaccine-preventable diseases such as measles. These diseases can also spread to babies too young to have a full vaccination or those with a weakened immune system. When children become ill, parents often have to miss several days from work during recovery, which can be costly and difficult. The 2013 measles outbreak in NYC outbreak illustrates that the United States continues to be at risk for vaccine-preventable diseases. Vaccination does not end in childhood; it is just as important to get regular re-vaccination in adulthood as immunity starts to weaken. Future mothers can get their pregnancy off to a healthy start by making sure their vaccines are up to date. The immunity that a mother has developed is passed on to the baby through breast milk and protects the baby during the first several months of life when the baby is too young to receive vaccines.1 Pregnancy is also an important time for mothers to become familiar with the vaccines their child will receive and ask any questions or address concerns with their physicians. The increase in nonmedical vaccine exemptions and the rise in the number of measles outbreaks in 2018 is troubling. We must hold ourselves accountable for our health and build relationships with health care providers to get the best medical care. No intervention is without risk and there are potential adverse reactions to vaccines. It is important to discuss your concerns with your physician to come to a mutual decision on vaccination risks and benefits. Imagine the good that could be done with the resources allocated in the New York City outbreak. Imagine the community programs and initiatives that could be funded with such resources. At a time when healthcare costs continue to skyrocket, we must work together as a community to take care of our population. Saisho Mangla, DO is a board certified pediatrician who completed his training at Lehigh Valley Children’s Hospital in Allentown, Pennsylvania. He will be pursuing further training in preventive medicine and public health at Loma Linda University.